Eddie Bellis' West Coast-style eight-piece band was playing its second gig in two days having fulfilled an engagement at the newly reopened Spanish City. 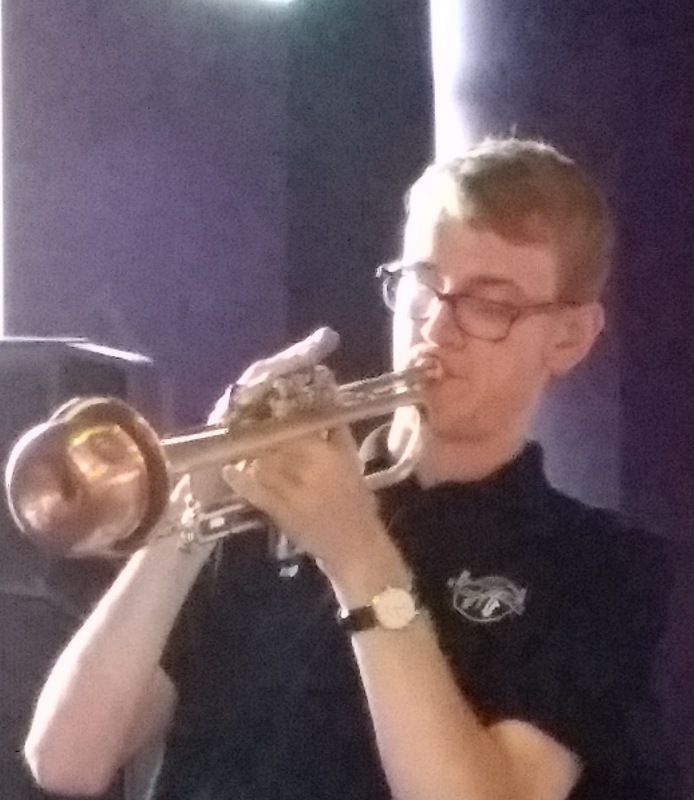 The Jazz Co-op's Globe HQ on Railway Street, Newcastle welcomed the return of Eddie and the boys and this evening there was a new face in the line-up - Lambton Big Band MD, trumpeter Callum Mellis. Blue Monk opened the first set and who should impress from the off? Callum Mellis, that's who! The young trumpeter has clearly benefitted from his time studying at Sage Gateshead and he more than held his own in the company of senior, seasoned musicians. Sandu, Soul Leo (Mellis again, Bradley Johnston prominent), bassist Alan Rudd laying down All Blues, a familiar setlist but none the worse for that, the playing assured, the audience enjoying the evening. Lift Off (the performance had already taken off) and Four closed out the first set. The band exited through a side door to take the air on a hot and humid evening. Milonga dancers occupied the first-floor room, that must have been a hot and sweaty session...all part of the fun! 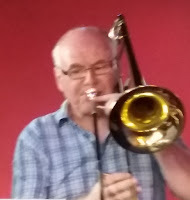 Groovin' High reached ever greater heights thanks to a blistering tenor solo from Paul Gowland and just at the right juncture Lickety Split's easy going bandleader, trombonist Eddie Bellis, called Stolen Moments. Oliver Nelson's instantly recognisable composition could be thought of as Lickety Split's signature tune and when the band comes to record an album it will surely be at the heart of it. The octet excelled, not least drummer Paul Wight's use of brushes, Mellis' impressive flugelhorn work and Alan Rudd's time keeping all good stuff. Lickety Split's gigs are few and far between so when the next one comes along make the effort, you won't be disappointed.